As one of the central travel hubs of Scotland, Glasgow Airport caters to many different vehicles and visitors every day with a wide range of parking services. 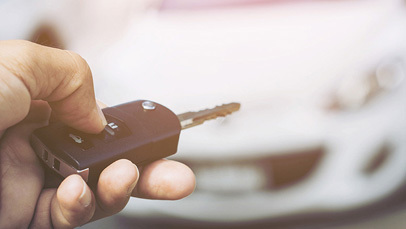 With so many choices available, our parking partners would like to offer a few helpful hints and tips to help you get the right space for your vehicle. Dropping off can cost a lot at Glasgow Airport, with stays in designated pick-up areas often incurring heavy charges after 10 minutes. To avoid this, it's best to book a short-stay parking space, giving you and your passengers plenty of time to make sure they have all their bags while also offering you the greatest value for money. Split between three carparks, Glasgow’s short-stay parking is perfect for meeting family and friends, as well as using the airport’s facilities. All carparks are close to the terminal and boast both regular security checks and CCTV. Glasgow Airport’s long-stay parking offers spaces that can be used for almost any duration. The sites are further from the airport but still benefit from regular security checks, as well as a regular shuttle bus to and from the terminal. If you’re looking to drop-off or pick-up friends and family without paying you can also do that here as stays of up to 30 minutes are completely free. By presenting your Blue Badge to any of the kiosks in the Glasgow Airport carparks you will be granted 30 minutes of free parking in any of the carparks. This should give you and your passengers plenty of time to get in or out of your vehicle or request assistance if necessary. Check height restrictions: Glasgow Airport’s multi-storey carpark has a relatively low ceiling, around 2.2 metres high, so be sure that your vehicle will fit before booking an indoor space. Set off with plenty of time to spare: As one of the biggest airports in Scotland, Glasgow is a travel hub and sees its fair share of traffic, roadworks and other events that can cause delays. Be sure to check for any disruptions before setting off for the airport and give yourself plenty of time, especially if you’re catching a flight. 24 Hour Food and Drink: The airport has both several chains of coffee shops and a supermarket attached that offer 24 hour service, so whenever you’re visiting you’ll never go hungry or thirsty.